MOSCOW (Sputnik) - Potential US withdrawal from the Russian-US Intermediate-Range Nuclear Forces (INF) Treaty is likely to further destabilize international security, given Washington’s exit from Iran’s nuclear deal, Jean-Marie Collin, spokesman for International Campaign to Abolish Nuclear Weapons (ICAN) France, told Sputnik. "It is clearly a very regrettable stage for the international security. A lot of people in Washington are asking themselves what the United States could potentially gain from it, knowing, of course, that clearly we are moving toward greater instability, considering the withdrawal from the JCPOA. And in this case, if there is really a withdrawal, it will create even bigger instability", Collin said. The spokesman for ICAN France added that the plan of US President Donald Trump to withdraw his country from the treaty was "in line" with his other policies, including his exit from the Paris climate agreement. Collin also noted that the Treaty on the Prohibition of Nuclear Weapons (TPNW) could help ease the impact of the potential break-up of the Russian-US Intermediate-Range Nuclear Forces. "If there are difficulties, there is another treaty being created, the Treaty on Prohibition of Nuclear Arms, which could mitigate the existing tensions over INF fallout", he said. The spokesman remarked that there seemed to be "a real political will" to actually withdraw from the INF treaty. He added that this rhetoric was not new, as the tensions around the deal already existed under the previous US administration. However, the treaty is a global rather than bilateral issue, Collin said. "The fact that these two states are accusing each other of non-observing the treaty is putting bigger tensions on Europe, [it] has to make the Europeans take charge of this issue and not leave it only in the hands of either [Russian President Vladimir] Putin or [US President Donald] Trump", the ICAN France spokesman stressed. According to Collin, multilateral agreements are needed in the future. 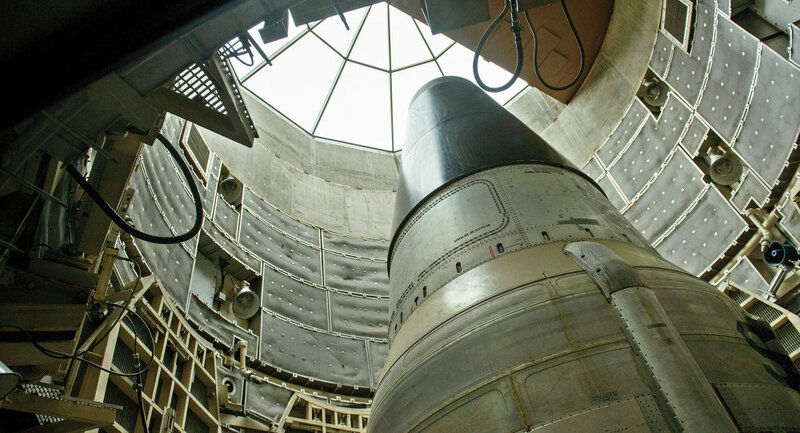 "The future START [Strategic Arms Reduction Treaty] agreement negotiations have to be prolonged after 2022. We need other actors to be incorporated into this agreement, for different issues — verification maybe, there are many things that could be implemented", the ICAN France spokesman said. US State Secretary Mike Pompeo is expected to announce later on Friday that Washington suspends its participation in the treaty, the CNN broadcaster reported, citing two US officials and multiple diplomatic sources. Russian Deputy Foreign Minister Sergei Ryabkov said Thursday that no progress had been made in bilateral talks on the treaty and the United States was likely to suspend its obligations starting this weekend. The United States has said it wants to leave the INF Treaty due to Russia’s alleged non-compliance, strongly refuted by Moscow. Russia has, in turn, expressed its concerns over some of US defence systems in Europe. In 2017, ICAN won the Nobel Peace Prize for its work reminding people of dire consequences of the use of nuclear weapons.